"Pastor Steve Brackett, Aaron Goldsmith, Chad Wahls, Sister Mary McCaul"
"Pastor Steve Brackett, Aaron Goldsmith, Chad Wahls, Sister Mary McCauley, Maryn Olson" (2019). 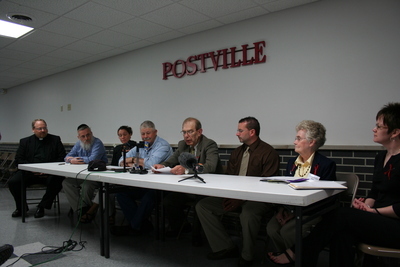 Postville Project Photographs. 4.